Previous to Snagajob, he was the SR. VP of Sales at mindSHIFT Technologies. He was there when they had a couple of successful exits. mindSHIFT Technologies was sold to Best Buy. Originally mindSHIFT had about 120 sales reps. When they sold to Best Buy, they had close to 500. 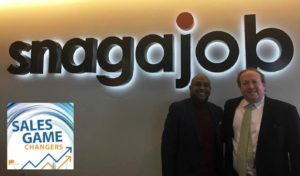 Within 2 years they were sold to Ricoh when they went to 3,000 sales reps.
Viyas Sundaram: Snagajob is a technology services platform that is focused on connecting hourly job workers with hourly job employers. We currently have over 88 billion registered users that use our platform to connect with over 350 thousand employer locations and when I talk about workers and employers, I talk about an hourly job worker that is working at a Best Buy, McDonald’s, Chipotle that are all proud customers of ours. As we go to market, my team is responsible for selling to the employers in our marketplace that enable workers to apply for those jobs and get connected with those jobs. The most proud component of our business is that we are actually a business that’s a dual sided marketplace so as we serve both the workers and the employers, we technically have two customers. We are selling to our workers which is obviously not a monetary relationship. It is one where we’re ensuring that we’re putting them in the right fir positions to maximize their lives and the potential that they have in their careers while simultaneously we sell to the employers which is actually a monetary relationship but also allowing us to feel what we believe is the foundation of the American dream which are the entrepreneurs of power, the food service, retail, hospitality sectors of our industry. Fred Diamond: When you talk about the employer side, who is it that you’re actually selling to? Is it director or senior VP of HR? Is it employment offices? Who would be your customer in those types of companies? Viyas Sundaram: The Snagajob go to market actually encompasses the entire spectrum of the market all the way from the enterprise side which as you hit on the head would be people like chief people officers, senior VP of HR, directors of talent acquisition for organizations like Macy’s, Chipotle, Kohls, Best Buy, Wendy’s, etc down to the mid-market which is a material part of our business which are people that are restaurateurs, retail owners, large franchise ownership groups fall into that bucket then down to probably a very exciting part of our segment, one of the most nimble parts of our segment which is the small and medium business side of the segment. In that world you’re talking to owner operators of Joe or Jane’s florist around the corner to a pop-up restaurant or retail concept within a particular market. Fred Diamond: Very good. Let’s talk about you specifically, tell us how you got into sales originally and tell us how you got into sales as a career. Viyas Sundaram: I started off my career actually as an entrepreneur founding my own IT consulting services firm with a partner when I was in college and without me even realizing it, was turned into a salesperson overnight when you’re one of two people, one of the two employees in an organization you by default become one of the two sales people in the organization and found my natural calling to be the one that was actually responsible for bringing in customers for that startup. As that startup progressed during the .com boom of the 90’s going from a sales rep by accident to the CEO of that organization was a very fast trajectory where being the CEO of a startup you’re selling everyday maybe to customers, you might be selling to investors. Subsequently as the market adjusted, as that bubble burst began my career formally in sales at mindSHIFT Technologies leveraging the experiences of the startup experience, the entrepreneurial experience to apply those skills to selling IT services and now all the way through to where we are today. Fred Diamond: A little bit of a tie into the Sales Game Changers podcast, we interviewed Rob DiRocco who’s now at Asurion. He also spent a good part of his career at mindSHIFT Technologies as well. Did you work with Rob? Viyas Sundaram: Not only did I have the honor of working for Rob, Rob hands down is one of the most material mentors in my sales career so I’m very thankful to have had the opportunity to work with him. Fred Diamond: Very good, we’ll ask you more specifically about that in a second and give a little plug out to Rob there. Tell us again some of the key lessons you learned from your first few sales jobs. You made a really good point a second ago when you realized that as the CEO of an entrepreneurial company, you’re always selling. Viyas Sundaram: These are the key learnings as you hit it on the head is that as a sales professional, the first thing is recognizing while you career is in the sales is that everyone around you also has a sales responsibility so whether it’s in product, engineering, marketing, the C-level, everyone in the organization every day has a sales responsibility. It’s just in different formats or maybe in different levels of intensity and engineers having to sell why their particular sprint is important to moving a product forward, product managers having to sell the vision of why the road map is actually going to help drive sales. I think that understanding that the notion of sales goes beyond people that are just in a sales career but as sales professionals we have an opportunity and candidly an obligation to our shareholders to constantly be a supportive role, a supportive resource for everyone in your respective organization that we win as a team and that everyone is a sales rep.
That’s probably one of the most important learnings, I’ll give you three. The second being – and I believe this came from Rob DiRocco actually – was you’re born with two ears and one mouth for a reason. As you go through the sales process or in any sales situation, listening and hearing the pain from a customer ends up being your biggest advantage to actually getting a deal done as everyone has a tendency to wanting to talk first. If you listen first, you’ll end up getting the signature you want. The final component that really comes to mind is that the lessons learned as a sales rep and the experiences as a sales rep should never be forgotten and candidly are the foundation of becoming a sales executive because as being a sales executive, my opinions, one of the most effective sales leaders are ones that are constantly able to remember what it’s like to be a rep and leverage that data point to be an effective leader for those that are actually making it rain. Fred Diamond: How do you work with young professionals that are basically on the phone to get them to physically be better listeners and to understand how they can create value for their customers? Viyas Sundaram: That’s a great question, Fred. I think that it’s becoming a little bit more and more of a challenge, to be honest, as we are at an on-demand world the desire to go from making that first cold call to getting an immediate yes or no that the impatience to get that has become stronger with every passing day. One of the key components that we do here at Snagajob is coming into the acknowledgement that no sales rep is going to have 100% efficacy in their cold calls. I definitely didn’t when I was a rep.
We’ve really embraced a culture here where failure is almost as important as success so the data you get from the folks that don’t go forward with you in the sales process we ensure here are equally important data points to those of the deals you actually get done. As reps finish their blitzes here, we are asking as much as my KPI’s are interested in how they’re successful in driving bookings, I am more interested at times of why some of our customers are not taking the next step with us or buying from us as that allows us to reposition to fight for the next day. Fred Diamond: That’s very good, the whole concept of a fast no is just as good as a fast yes in many cases. Tell us a little more about yourself specifically, Viyas. Tell us what you’re an expert in, tell us a little more about your specific area of brilliance. Viyas Sundaram: I think that the biggest success of my career has been hiring tremendous leaders and producers that have propelled our respective organizations to success so any success that I’ve personally experienced has been truly because of the teams that have helped power me in the organization to those levels. As I think about what my background has allowed me to accomplish, it is identifying not only the needs in a market but figuring out how to scale teams to not only meet that need in the market but how do you scale them effectively to a large volume so that you can identify the three steps of sales organization progress in my mind. It’s first, velocity, how do you get sales deals done as quickly as possible. Then repeatability, how do you then do that over and over again and the third piece is how do you do that at scale. As many people that are listening to this podcast can probably relate to, it is a much different proposition to get one or two sales reps to be successful for an organization than it is to get hundreds and the journey from scaling from those two to those hundreds is probably the journey that I’m most proud of. Fred Diamond: Take us back to an impactful sales career mentor, you kind of alluded to one in the beginning. Tell us about an impactful sales career mentor and how they impacted your career. Is his level of empathy to understand the pressures and the adrenaline rush that run through every sales producer’s veins and channel that into a productive conversation of how to coach and help me get deals done is something that to this day I use as every day I have the privilege and the honor of interacting with the hundreds of sales reps we have here that are amazing producers that are filled with – they feel more piss and vinegar than I had as a rep but I can pretty much tell them that I was probably far worse. Rob was truly the barometer of leadership that I used to hold myself to the standard of navigating the emotion of being a rep into a productive rep.
Fred Diamond: Very good, that’s a great story and for the Sales Game Changers listening to the podcast, we’ll also post a link to Rob’s podcast for the Sales Game Changers podcast. It was quite a great interview and a lot of the things that you just said really tie into things that he talked about so that’s great. Viyas, what are two of the biggest challenges you face today as a sales leader? Viyas Sundaram: Two of the biggest challenges that I face as a sales leader is – and I think challenges in our world we also view as opportunities – I think #1 is candidly, time. That is the one thing that is the hard-pressed pressure point that we have across the board and this is nothing new for sales leaders whether you’re on a daily metric subjective or a monthly quota, quarterly quota, annual quota time is always our biggest enemy as we’re trying to drive deals as I said earlier. Higher velocity, getting them done faster and doing that over and over again but I think that the bigger component in this day and age is the dynamic nature of the market is probably the biggest challenge and opportunity and it is a reminder to sales leaders that the same pitch that you may have been giving two or three years ago may not be the same pitch now. Heck, in our market the same pitch you gave last week may not be the right pitch that you have to give this week. Not only is the market changing, depending upon your industry, the dynamic nature of the market may be on different areas of the spectrum but regardless it is changing whether you’re selling books or if you’re selling the next generation technology solution, the market is changing every day and making sure that you’re adapting to it. I think the combination of the market changing combined with the fact that we’re moving to an on-demand market. What was the old Burger King analogy, you want it your way right away is the way the market works. Social media and digital communication celebrate that from the standpoint as you are in a world where everything can be on demand as well as any sort of data point. Whether it’s what you’re trying to get out to market or what your competitors are saying about you can be spread and sent out so quickly, the pressure on sales leaders to be more dynamic in this market to be able not even to leverage those immediate abilities to communicate out to the market but also the immediate need to respond to how communication is being received about you or about your competitors is super important. 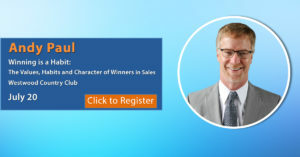 Fred Diamond: Why don’t you take us back to a #1 sale success or win from your career that you’re most proud of? Again, you had a great career over there at mindSHIFT, you talked about some great entrepreneurial examples that started back in the day in college and of course, you’ve had some great success here at Snagajob. Tell us about one of those. Viyas Sundaram: As I think about the most tremendous sale success going to what I was saying earlier about my success is really driven by the teams around me is as I sit here, I will actually state one of my most material success as what I see today and what I see today is not only an organization that has quadrupled its bookings on revenue output and has had a ten X growth in employer locations as a byproduct of it. But more importantly and I just shared this with my leadership team a few months ago is I look at my leadership team today and I look at who was first part of my team and I mean producers when I started the journey here in Snagajob in 2014 to see of the 30 people that were on my sales team in 2014 how over half of them are now in management or leadership positions as part of my team that is now in the hundreds is probably my biggest success story and source of pride. It’s a source of pride and excitement that I think is something that not only sales managers but sales producers can embrace is being a mentor and serving every day to make it rain as it’s our profession but simultaneously making those around us better because they can learn by how we do it or how we produce and how we manage ultimately sets you up for success because as a sales manager you are the sum of all the quotas that you’re managing and if every day you make the people that are producing your quota better, you’re just making your management capabilities better every day and I’m proud to see that here. Fred Diamond: You’ve had a great career in sales, you’ve given us some great ideas, heard some great examples. Did you ever question being in sales? Viyas, was there ever a moment where you thought to yourself, “It’s too hard, it’s just not for me”? Viyas Sundaram: Never. I think that fundamental in any sales rep’s mentality is they are at the end of the day the CEO of their own business. As you earn your own quota and very early in your career – and there’s a lot of people that think they want to go into sales, but a lot of people quickly realize they don’t want to be the CEO of their own business or not necessarily a CEO of a business where you have immediate pressure through quota and management. They’re either not built to be that CEO or they’re built to be a CEO of a scooter store in the Bahamas instead of running a corporate sales organization. As I think about whether I’ve ever had the question of being in sales, no. The thrill of the deal, the fact that we are the tip of the spear, that every day rain or shine we are the ones that are responsible for making an organization grow is a thrill that I can never let go of. That being said, when it is the 31st of December and I’m still waiting on that one customer send over the eco sign – it used to be the fax machine if I date myself too badly there – there are times I do question, “Why the heck did I get in this business” but ultimately when that deal comes through, those questions disappear very quickly. Fred Diamond: Viyas, what’s the most important thing you want to get across to junior professionals to help them improve their career? Viyas Sundaram: Probably the most important thing that I would share with junior sales professionals is actually a twofold answer to that. I think #1 is recognizing what drives a sales professional. Very clearly for me, with the wonderful talent that I’ve had the privilege of working with it is clear there becomes a tipping point where sales producers are obviously originally really driven by money. We are here to make it rain for an organization, we’re here also to make our W2’s look as good as possible but what happens with really successful sales leaders at some point in time, the thrill of growing your personal commission check needs to be augmented personally by the desire to start with a new challenge and that challenge is how do I actually start making teams successful and recognizing when you’re ready to make that pivot as I think many sales managers will say that the first year of sales management may not be as lucrative to you when you were a direct producer but the thrill of actually building a team is what carries you through that period when you’re ultimately then able to take the next step in your career into senior sales leadership positions. I think every sales professional having a really good self-awareness of when that creativity desire shifts from purely making money to also start making teams better is an important thing to be aware of but as you go through that journey and recognizing that you are in an individual – and there is no such thing as a right or wrong answer. Some people are producers for their entire life and are excellent producers and make a very lucrative lifestyle that has great work life balance. Some want to go into leadership, should you be the person that wants to go into leadership? It is constantly reminding yourself and using the experience of you as a sales rep so that when you are a sales leader whether you’re a manager or a CRO to constantly be able to empathize with the pressures and the challenges of what a rep faces because no matter what level of leadership you’re in, you’re always going to be in a role where you’re seeing the forest whereas the reps are the ones that are really in between the trees. Remembering what it’s like to be a rep navigating through those trees trying to make it rain every day is not necessarily an easy thing and reminding yourself as leaders what they go through every day helps empathize and give them the tools to be more successful as you’re sitting in a position where you’re looking at that forest more than those trees. Fred Diamond: You’re at the top of the game, you’re the chief revenue officer at a very hot company in the DC region doing some great work, helping employers find great employees and helping employees find great jobs. What are some of the things that you do to sharpen your saw and stay fresh? Viyas Sundaram: One of the things that I tend to do the most is actually a couple of things. I spend a fair amount of time with my reps in either one on one situations or what we do what’s called fire side chats here where I’m extremely focused on the data loop. I have a tremendous leadership team that I entrust and they have executed amazingly for me but being able to book end the data and information that I get from my VP’s of sales and my senior directors of sales to actually the feedback and information I get from the sales reps themselves help me paint that tree and forest picture a little bit more effectively. I think the second piece is actually being able to spend time with sales leaders – and this is going to sound a little perverse – that while they may have been successful have also navigated some pretty material failures. I am absolutely obsessed with failure data points in the market as I’ve been a part of many of those failures myself but there are so many learnings from other sales leaders around not only the DC area but nationally that help drive strategies and adjustments to our own strategy of how to avoid those similar failures for our organization moving forward. Fred Diamond: That’s a great point. One of the great results of the Sales Game Changers podcast is that we’ve built this amazing network of sales leaders across multiple industries, everything from tech, hospitality, financial services, government sales and they’ve been able to learn from each other and help. I’m really curious about the theme of failure throughout today’s podcast and tell me before I ask you the next question, how comfortable are you in failure? You’ve brought it a couple of times. People get uncomfortable with failure. How do you accept failure? Viyas Sundaram: I think the key component is candidly setting that expectation, is going into any conversation and every day here at Snagajob we have tremendous opportunity and dynamic opportunities that are unfolding daily is setting the expectation the only thing that is 100% guaranteed in any initiative that we do whether it’s here at Snagajob or anywhere, the only thing that’s 100% guaranteed is that you’re going to experience at least a failure through it because no one has a crystal ball. If you do, you wouldn’t be in sales, you’d be in Vegas full time. Is acknowledging that out of the gate and just taking that pressure off that the notion of failure is not an option candidly in our world is not realistic. By setting that expectation, you do a couple things as a sales leader. #1, you take the pressure off and when people are a little bit more comfortable they produce better for you. I think the second part, it humanizes you as an executive. If you are able to share with your direct producers the failure that you yourself have navigated – as I mentioned earlier, a rep may say to me, “I’m sorry if I come across too aggressive” and I’ll tell them, “Don’t apologize because I’ll tell you, when I was a rep and at your exact same stage I was more of a pain in the rear than you will ever be”. Acknowledging that as a data point and as that was a “failure” of mine maybe as a rep humanizes you with your producers. If they believe that you connect with them then they will believe in you and they will follow you to wherever you go. 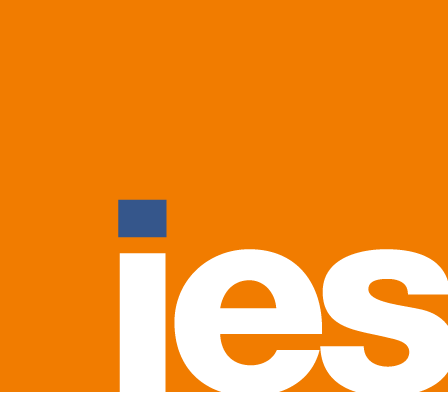 Viyas Sundaram: The most important initiative – and it’s one that hasn’t changed since I’ve been here, and it’s one that I would empower every sales leader to think about – is lifetime value versus cost of acquisition. It is our bible, it is the way that we manage our teams, it is the one metric that I look at every time I’m looking to evaluate the state of our teams and how they’re working. We all get so focused on bookings and quotas and revenue targets but at the end of the day, how your sales KPI’s, your key productivity measures are performing is ultimately going to be relative to you growth as an organization. If you have a high cost of acquisition, at first glance people say that’s a bad thing but if you actually have a really strong lifetime value that traverses many years, that high cost of acquisition is well justified. Simultaneously, if you have a low lifetime value your cost of acquisition better be darn good. Constantly marrying that relative view of how what you’re producing every day marries to the holistic growth of the organization is the most important initiative that we follow every day. Fred Diamond: Very good. You’ve given us some great examples here today, Viyas. Sales is hard, though. People don’t return your phone calls, we’ve spoken about failure, this is probably the one podcast episode we’ve done where the word failure has come up so often but of course you also had tremendous success and you’ve talked about expectations and how to truly acknowledge where you are in the process but why have you continued? What is it about sales as a career that has kept you going? Viyas Sundaram: The thrill of the deal, the thrill of winning with integrity, the thrill of winning when you are faced with competition and there are competitors every day that you’re going into a world where it’s a hand to hand battles in wrestling deals as customers have options and the fact that every day – and I remind this of my team. We have a very magical career choice. Every day we go out to the market and get someone that you have no relationship with to convince them to sign a document that guarantees them to give you or your organization money every day. Barring your family that you could hit up for money comfortably, every day we get a complete strange to be confident enough to give us money that they’re responsible for. That is an accomplishment that as sales professionals we take for granted but not many people in this world have the ability of delivering on that and the fact that you’re able to do that in the face of competition with many other talented sales professionals and leader that have that same talent and objective, when you win I consider it a really big one, one that drives me across all the losses that we may have along the way. Fred Diamond: That’s pretty cool. Actually I guess one of the other things that’s pretty cool about what you particularly offer – again, you connect employers to hourly type of employees and you help the employees find great jobs at some of the best brands. We’ve listed some of these amazing companies: Chipotle, Kohls. Who are some of the other companies again that you’ve serviced? Viyas Sundaram: We service a wide array. Right now the top 50 franchise brands from Wendy’s McDonald’s, Burger King, Taco Bell, Pizza Hut, KFC, all the restaurant franchise groups that you have a recognition of, Subway, Jimmy John’s, etc. are all material customers of ours. Additionally Amazon, Uber, the on-demand world of Post Mates, Instacart are also big customers of ours as well as a lot of the traditional retailers. I’m in a world where retail is going through a lot of changes as well, customers such as Macy’s as I mentioned before, Kohls, a variety of retail places like Foot Locker are all customers of ours. Even customers like Toys R’ Us who’s currently going through some material hard times. We are ones where we actually not only service a world where we are there to help them grown but even in tough times as Toys R’ Us is a good example, we are actively involved and trying to off-board their hundreds of thousands of employees into new careers. As you look at our respective world, I’ve talked about all the employers but the most important customer in our world is the worker and we actually pride ourselves in being a socially conscious business that happens to have 80% gross margin. Fred Diamond: Give us one final thought, Viyas, to inspire the Sales Game Changers around the globe listening today. Viyas Sundaram: One final thought to inspire. Fred Diamond: And you’ve given us hundreds. Viyas Sundaram: As I think about this market and I think about where the industry as a whole, whether you’re in the tech industry, whether you’re the human capital industry as we’re in or if you’re the retail industry, we are in the next generation of the industrial revolution. We’re in a world where digital transformation is transforming the way that we live and breathe and operate in our society and I mean that not only from a B to B standpoint but also from a B to C standpoint. My source of inspiration day in and day out as someone that as a sales producer or leader in that context of being that CEO of your own business, you have the ability of managing and owning your own destiny and being able to acknowledge that we are in an amazing period of time as I talk to my five year old daughter, there’s a chance that she may not know what email is when it’s time for her to go into her career as there’ll be another mode of communication. Acknowledging that as the CEO of your own business, you can make the decision on how to adapt to this rapidly changing market. It is important that every time you make that cold call, every time you hold that staff meeting that you are thinking about the changes that are occurring around what’s happening outside the four walls or outside of this beautiful view that we have here at Snagajob and ensuring that you’re preparing either your team or your next sales pitch to adapt to that changing market because if you adapt to that changing market, your customers will believe and your customers will follow you with revenue through your entire career.